Belinda Knight Solicitor is a highly experienced lawyer with a proven track record of professional and successful legal representation over many years, for a wide variety of clients and cases. 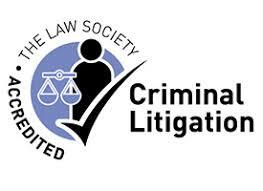 She is constantly given 5 out of 5 for excellent legal services provided to clients. As such, she is a lawyer to be trusted with your case. Please read below what some of her clients have written about her legal representation. To submit your own review for inclusion please see here or please leave us a review on Google by clicking on the Google image. She certainly has done well for a lot of people in a lot of complex situations – some of them repeat appearances, which must make it more difficult to defend. Whoever it was, or whatever it was that guided our choice, it paid off. Nice day to be “outside”. During the early months of 2019 Belinda Knight assisted a family member in respect of a serious offence. She showed compassion coupled with straight talking, was completely accessible and even phoned family members when her client was in distress. She demonstrated a thoroughness throughout the process. We all had complete confidence in her attention to the nuances of the case and her ability to present the salient points to the Judge in a clear and direct manner. Belinda combines approachability with professionalism. She did not hesitate to warn her client of the details of the worst possible outcome, at the same time as instilling in all of us that she would do everything in her power to achieve a fair and moderate result. She was successful. Just a little note to thank you for your hard work in helping me through this very difficult time in my life. It was a pleasure to have you working for me, to bring me back down to earth sometimes. The service was swift, professional and complete and the fact that Belinda was contactable and helpful made things all very easy. Based on my experience, if anyone is considering a very good solicitor, then I wouldn’t hesitate to recommend Belinda Knight. “Belinda Knight represented me during my case. Belinda worked above and beyond her duties. I was kept updated throughout the whole case. Belinda worked really hard and I was extremely pleased with the result. I would highly recommend Belinda Knight. “Belinda was recommended to me by another solicitor and represented my son in a case with his ex girlfriend. I found her to be professional, business like and at the same time compassionate and understanding – just what you need in a sensitive family case. ” We would like to highly recommend Belinda Knight for her outstanding efforts in a very difficult case involving out son. You have clearly lead the way in your ability to keep us informed clearly in layman’s terms, lead us step by step through the relevant procedures and delivered the end result perfectly. 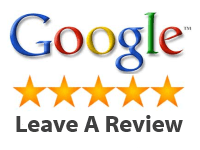 Had it not been that we came across your website during a google search we believe the outcome would have been so different, so thanks once again for all your help and efforts during a particularly difficult case. “I say thank you to Belinda for her support when I was really down. Her negotiation skills has rescued me from my ordeal. “Excellent. It is so comforting to know that there are lawyers who understand clients with special needs. You showed respect and understanding giving excellent advise to our son when he got himself into a fix. The result was the best he could have wished for – thank you”. LA in Reading Feb 2018. “Belinda Knight Solicitor was my criminal lawyer, when I found myself accused of something I didn’t not do. It was a hard case but with home visits and pictures that Belinda took to prove I was innocent. The legal advice and support she gave me and my family was beyond what she had to do. She went out of her. She won my case at trial. And I would definitely suggest contacting Belinda Knight as she is loyal and her attitude is amazing. An amazing criminal lawyer.” – EE in Reading April 2018 (assault on neighbour). “I am not a serial offender so when I was arrested I phoned our family solicitor and he recommended Belinda Knight Solicitor as someone with a first class reputation. In our first meeting Belinda was very factual and explained exactly where I was in the legal process, what would happen next, what my options were, what she would recommend and associated time-frames. Sympathetic – Throughout the entire process Belinda was sympathetic to both mine and my family’s needs; this meant I could still work internationally while my case was going through criminal justice system. Impressed – The thing that impressed me the most was that Belinda stuck to the process, the potential outcomes and the probabilities. It is important to remember that criminal allegations were extremely serious and Belinda led me through the process from beginning to end. Kept out of prison – Overall I think Belinda kept me true to the process, minimised the sentencing and kept me out of prison. Highly recommended – I would highly recommend Belinda Knight Solicitor as she is technically excellent and tells you where you stand. If you are reading this you will be in trouble so please listen to her and act promptly as the longer you let things drag the worse the outcome, I would definitely recommend her from experience.” – FG in Windsor Feb 2018 (False accounting, theft, obtaining by deception). “In the past two years, I have never been as relaxed as I am today, and I have never been so happy as today. For all this we must thank you, thank you for your help, thank you for helping us to fight this lawsuit, thank you for helping us reduce the pain. In the long wait of 5 months, I searched the Internet for relevant legal provisions, and inadvertently saw your lawyer’s website. Many large scale cases –Then I took a look at your academic background and you accepted many large-scale cases. I felt that you are more professional. Immediately I dialed your phone number and simply told you about the case and you asked if I could forward the case to you. I did not hesitate to have you represent me. I didn’t expect that I would trust you so much. You said that you needed to meet us immediately. Otherwise, there will be no time to prepare the case. Right lawyer – After the courtroom, my partner came out of the court and said: “We hired the right lawyer, I knew after seeing her at a glance.” While we are satisfied with the results, we would also like to write this thank you this note. We have infinite gratitude for your professionalism, your industriousness, your devotion. We felt very touched. Here, on behalf of my family, I wish you good health and a prosperous business. “- Mr. & Mrs. CX (Chinese client) Reading Oct 2017 (Theft by employee, fraud). “I would like to take this opportunity to thank you very much for how professionally you have dealt with my case for me. Thanks a million! Before I began to look for a solicitor, I wanted to get the right one who could understand me, my situation and help me out. You helping me through the legal aid application, calming me down when I was so stressed with the case, all the professional experts you spoke with and obtained relevant reports such as doctors and the laboratory reports. I knew I had contacted the right solicitor. Thanks once again.” – LT in Reading April 2018 (Road traffic offences). “I was before Oxford Crown Court and Belinda Knight was the best solicitor I have ever had. I have had other solicitors and they were not as useful as Belinda Knight. I would recommend her to anyone who needs a criminal lawyer. She is an excellent criminal solicitor.” – BP in Henley upon Thames Mar 2018 (Kidnapping and child abduction). “Thank you for all your help a really big thank you to you. I just wanted to let you know that I really appreciate it and I think you are an amazing solicitor, getting the case discontinued.” – TC in Cornwall Dec 2017 (Prosecution by British Transport Police). “Thanks for putting in your hard work and time.” – MK in Reading Oct 2017 (assault). “Just to say big thank you for dealing with my case.” – JC in Reading Nov 2017 (theft). “Many thanks for your help with my case. The results were great and I appreciate your honesty with my situation. I am pleased with the outcome and your handling of the case I will gladly recommend your service to any of my friends that may ever need it.” – MJ in Reading Dec 2017 (road traffic offences). “Belinda Knight Solicitor has represented 3 different generations of my family for a variety of different allegations, drugs, burglary, and assault. Extra mile – At one point Belinda represented us on, on 3 different cases and we won them all in succession. She provides excellent legal service. Belinda always goes the extra mile! Site and home visits –She does site visits and she is prepared to travel out of the Thames Valley area to be able to represent her clients, she appears when they are under arrest at police station through to court. Belinda will do home visits if that’s more convenient and comfortable for you as a client. Special needs –Belinda Knight Solicitor also has a fantastic reputation for representing clients will special needs. She is very understanding and patient, she ensures that the police and the courts understands the issues of her clients and prompts both to put the correct procedures in place so that her client feels as comfortable as possible ensuring that they have fair interviews and trials. Best interests –Belinda Knight Solicitor has clients best interest is always at the fore front of how she represents them. I can honestly say I have always been happy with how Belinda has handled our cases and know she has always fought her hardest for the best possible outcome.”– BJ in Reading (robbery, assault, drugs, burglary, domestic violence) April 2018. “I would 100% recommend Belinda Knight Solicitor” – FB. “Thank you for all of your help, support and time you have given my relative with his court case. It has been a difficult and challenging time for him and everyone supporting him and we are very grateful for all that you have done.” – MM in Reading Feb 2018 (domestic assault). “In the event you find yourself in the position of needing a Criminal Lawyer or a Criminal Law Solicitor, you’d probably go through a checklist that looks something like this: – Capable; Many court wins; Fully knowledgeable in a particular field of law and well-acquainted with cases like your own; Genuinely committed; Has foresight and can anticipate certain outcomes with some degree of certainty; Familiar with the court(s) where your case will be held; Straight-forward/Direct; Excellent negotiating skills; Persuasive. It is the case Belinda Knight ticked all of these boxes for me, and given the gravity of potential outcomes and the effects it could have had on my career, Belinda put forth a case that resulted in exactly what I wanted. One cannot ask for more than that, and I certainly could not more highly recommend Belinda Knight Solicitor I remain a woman of good character as Belinda Knight persuaded the prosecution at court to discontinue my case”. – CJ in Windsor Jan 2018 (Prosecution by local authority for child not attending school). “Belinda Knight Solicitor was introduced to us by one of the UK’s leading Special Educational Needs law firms based in Suffolk. When we had heard late one afternoon that our teenage son was taken into custody under arrest in Shrewsbury, she was in the car and on her way to represent him that evening. She ensured his interview met all standards for a young person with special needs and worked with the police to ensure a reasonable perspective was maintained throughout. Our son was bailed the following day and after carefully reviewing the case, the police found no cause for further action. Belinda was there for us from that upsetting first night and kept on top of the case until its conclusion. Her level of personal commitment made you feel as though the person she was defending was as much her family as ours. We can’t thank her enough.”– J & D, Islington (Terrorism, making explosive device). “I have seen many distressing cases as an appropriate adult and independent custody visitor in many places for the last 10 years. I have witnessed numerous Solicitors from all sorts of practices. Belinda Knight Solicitor is of the rare, impressive variety – someone I would choose to help me or my family if the need ever arose!”– David P Tredrea, Director, The London Trauma Group, 10-12 Harley Street, London W1G 9PG. “Belinda, you are one of the shining stars floating around in the sky. I thank you most sincerely. Once again from the bottom of my heart, thank you so very much for all the help you have given my daughter you have won her trials before only needing to ask one question!” – KB in Reading April 2018 (fraud, obtaining by deception, burglary, theft). “Thank you once again for your representation; you are a legend.” – OP in Reading Jan 2018. Belinda knight is a excellent solicitor. Professional at all times, yet friendly. She made me feel calm when I was anxious. I would highly recommend her. Belinda was recommended to me by a friend She gave us a great deal of support in a difficult time. She is a fast worker and very knowledgeable, I would give more than 5 stars if possible! Belinda has represented a member of my family through a very complex case, she has been extremely supportive and worked tirelessly to ensure the best outcome for our case. She is a treasure we could not have asked for better representation . Belinda Knight is is a hard working and professional solicitor / lawyer with many years experience. She is committed to caring and professional legal representation of her clients and has a proven track record of success. Fantastic solicitor. Helped me to understand the process and the options that I could take. Good, solid advice and I was acquitted within an hour of my interview. Really would recommend to anyone! My wife and I have used Belinda twice and, on both occasions, she has made herself available at very short notice and has given us clear, straight-forward and knowledgeable advice in relation to our son’s legal position. She is very understanding and supportive about our son and his behaviour but, at the same time, tough and assertive when defending his legal position. We would use her again. I was very impressed with the way Belinda represented me during a difficult period in my life. She was genuinely interested in helping me and provided excellent advice. I would definitely trust her to do the same again. Belinda was very easy to talk to, the best thing about the experience was that she explained everything in a basic and easy to understand way. One of the best solicitors I have dealt with can not recommend highly enough! Excellent solicitor. Prompt response when contacted. Professional, approachable and hard working. Relates well to clients. If you require a dedicated solicitor in your corner do not hesitate to contact Belinda Knight. Highly recommended. Belinda has represented family and friends over a number of years, Belinda has proven to always go the extra mile, She will do home visits if that's more convenient and comfortable for her client, she also does site visits and is willing to travel out of the Thames Valley area to represent her clients. Belinda has a very good reputation with working with clients that have special needs and makes sure that the police and courts understand the need for special measures to be put in place to ensure fair interviews at the police station and fair trials in court. Finding yourself or having a family member whose on the wrong side of the law is very daunting, I've always found Belinda to be very supportive both to her client and to their families. I can honestly say that Belinda always puts her clients best interest at the forefront and she thrives to get the best outcome possible EVERYTIME! Belinda Knight is a highly experienced and professional solicitor. She has outstanding care for her clients and will always go the extra mile to make you feel comfortable in whatever your situation may be. I would highly recommend Belinda to become your solicitor if you are in need of one. She is one of a kind! Belinda Knight is an excellent solicitor she is very reliable, she explains cases clearly and gives excellent advise. Belinda was recommended to me a few years back and I have gone on to recommend her to friends also. Hi, I am Jonah and recently met Belinda Knight and I had no hope on my recent case in court. But through a friend, Belinda came into my rescue. And the results that we had from court was more than expectation. This woman is genius and I'm here to recommend her everyone with any sort of case. Great service and very professional. I would highly recommend Belinda Knight Solicitor Services, to anyone in need of a quality legal advice/representation. Belinda Knight provided a wealth of deep understanding and knowledge about the law and potential problems. She was kind, courteous and thorough - but above all knew exactly what to do, giving confidence - and ultimately a clear course of action - that was successful. I highly recommend her if you are unsure of the law and where you stand. A very powerful person that works hard to see you through difficult times with a positive attitude..
Belinda knight is extremely professional and impressive, she helped us with kindness and most of all support. We would certainly recommend her. Belinda above all is one very clever solicitor.